I recently discovered the Blumebox and had to share. 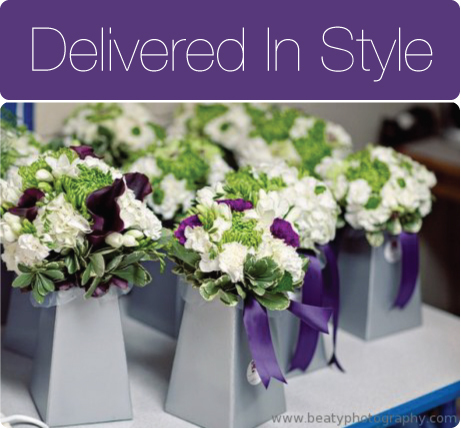 As most florists know, the delivery and set-up for an event is a whole different beast. It takes a lot of skill and preparation, particularly when you want a good presentation. These boxes left me pondering and dreaming of endless delightful and less stressful delivery possibilities. 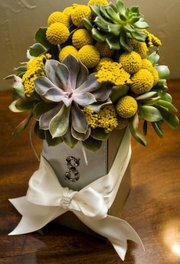 Though these boxes are a little more expensive than the glass vases I can purchase by wholesale, there are so many perks. Durable and will not break in transport. 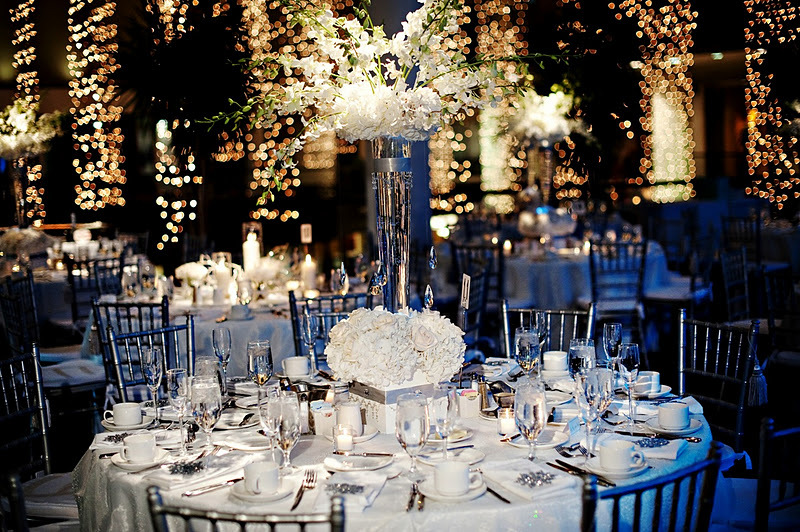 A multitude of colors can be linked to wedding colors and dresses. 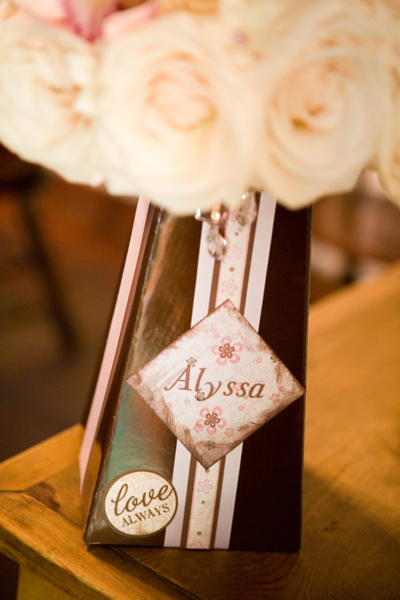 Name tags (graphically designed of course!) can be attached to each box making an acceptable presentation. 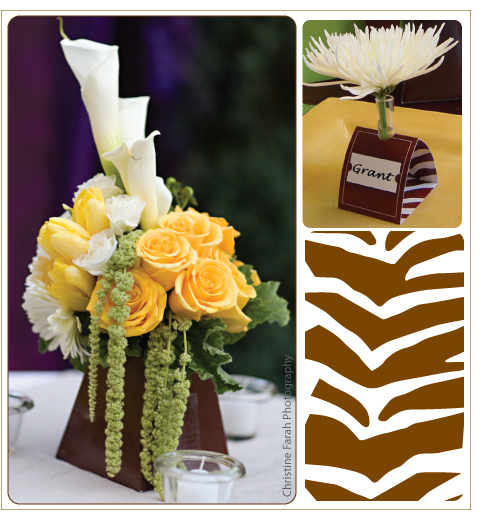 The boxes can be used as a small accent arrangements below larger, taller vases and flowers. 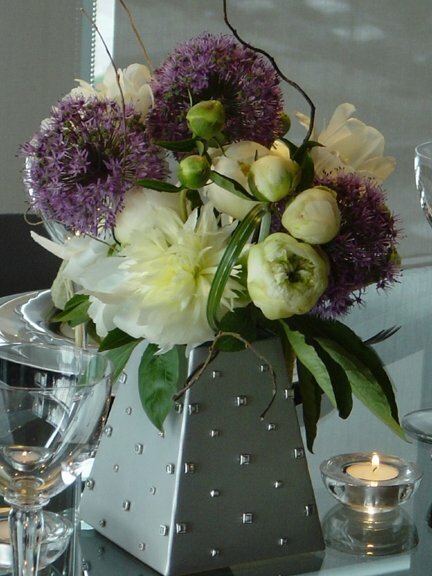 The bouquets can be re-used / re-purposed as centerpieces in the boxes at the reception. 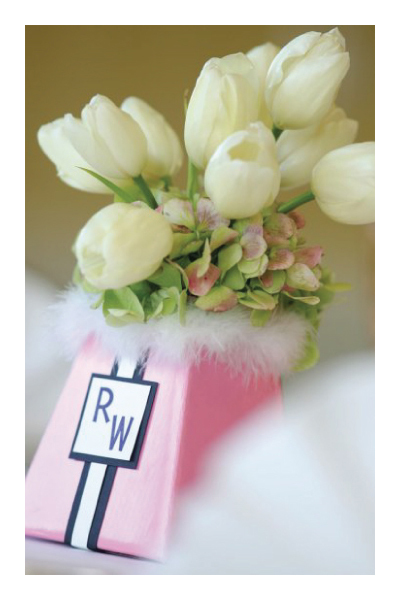 The handle treatment of the bouquet, ie the stems, will be hidden in the box. 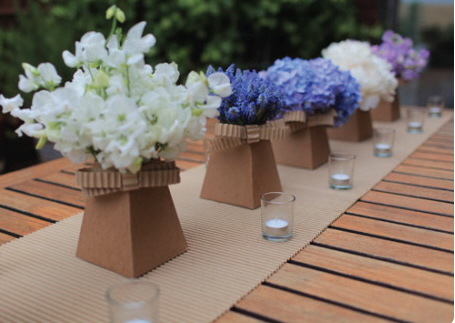 These bouquet boxes can sit at the head table or surround the cake. They are shipped and store flat, how wonderful!!! As many florists know we always need MORE STORAGE space. 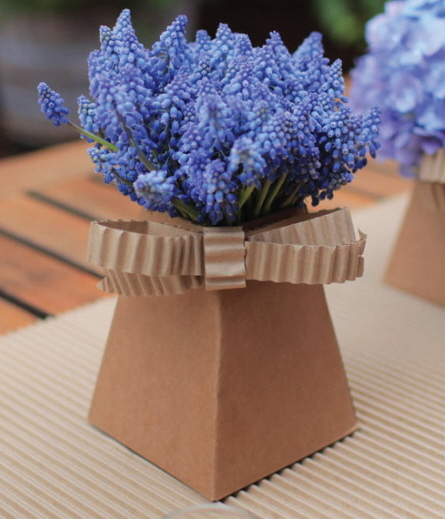 Thus in a small studio space, you could store a high volume of these boxes compared to the glass vases. As my budding business continues to grow I can tell this product will come in handy! The boxes are made from recycled materials! Save the environment!!! This company is American family owned and operated. These days, it feels great to support and american company with high quality. Below are some great photos of the blumeboxe in action! 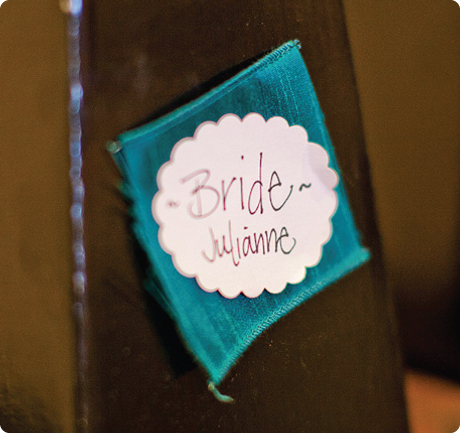 It is a great reference on how the boxes are incorporated into wedding decor and labeled professionally!